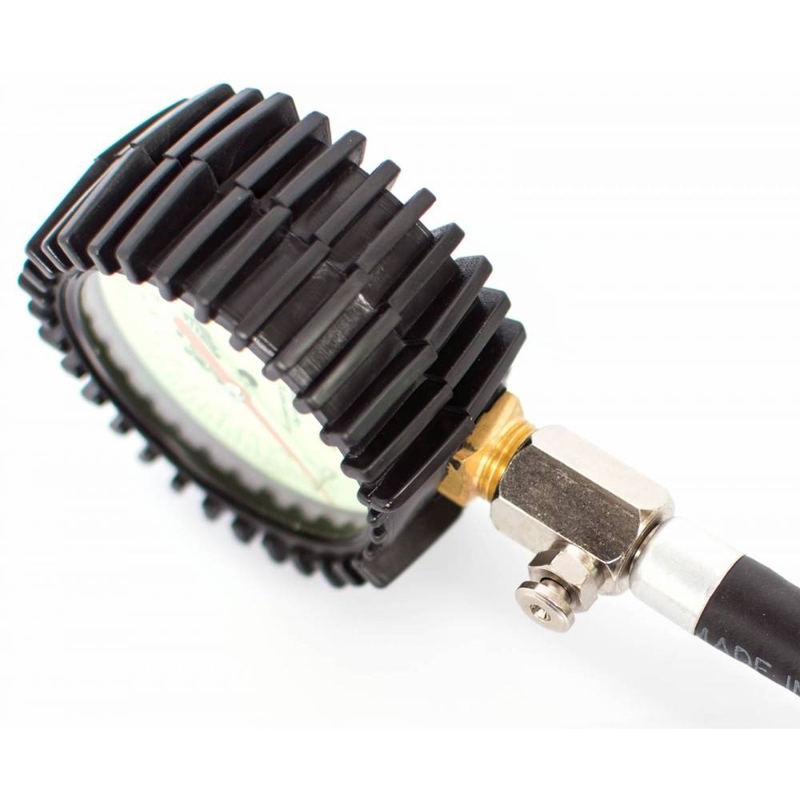 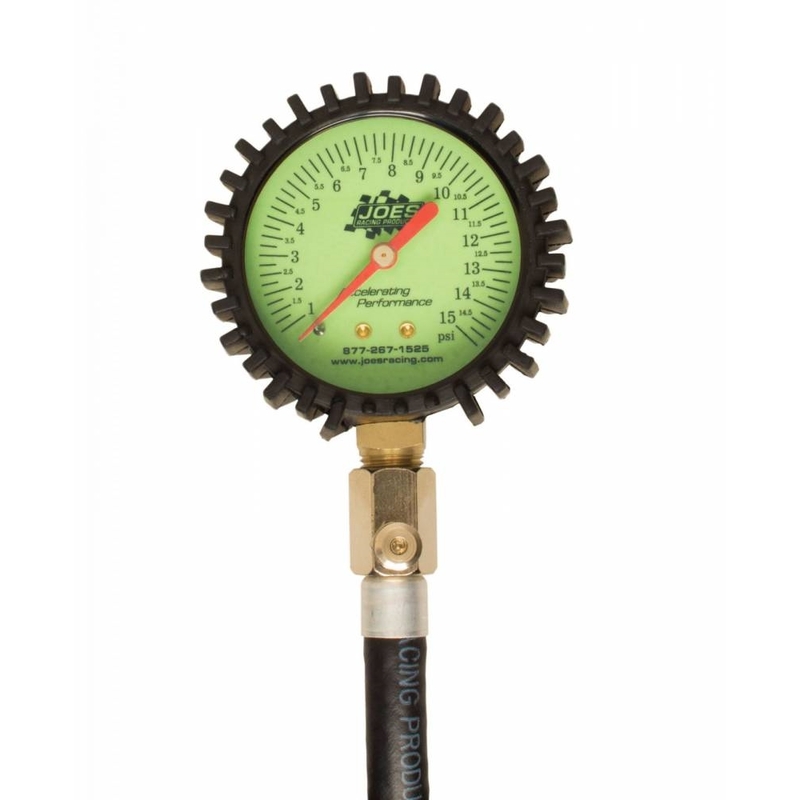 JOES Tire Pressure Gauges come with a 2-1/2″ glow-in-the-dark dial face, air pressure release button, internal gauge damper, and a 17″ ultra flexible hose with a swivel chuck. 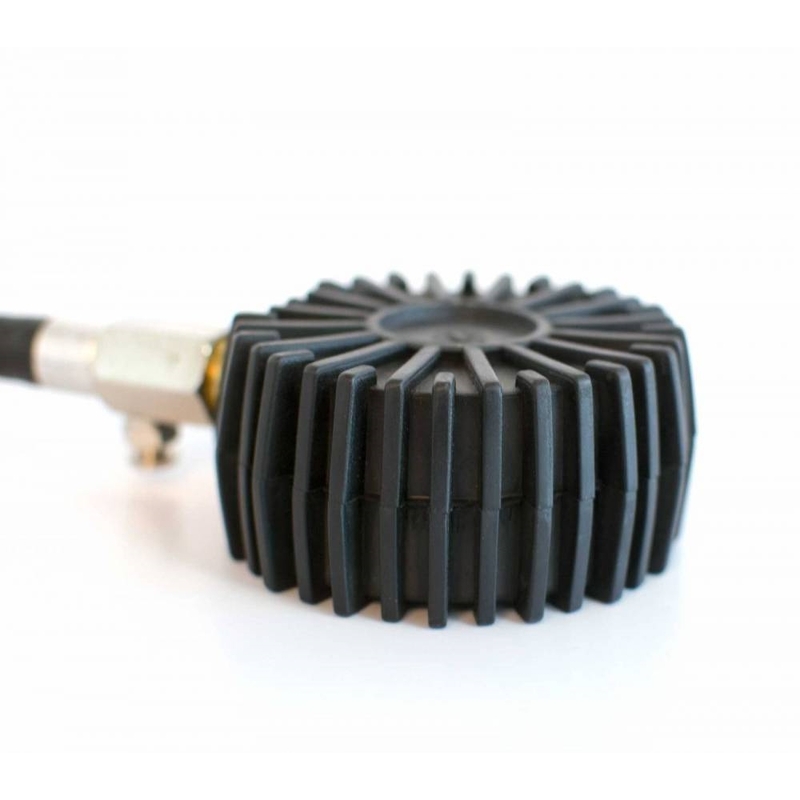 We include a pre-installed chrome angle chuck as well as a ball chuck so that you can swap them based on your preference. 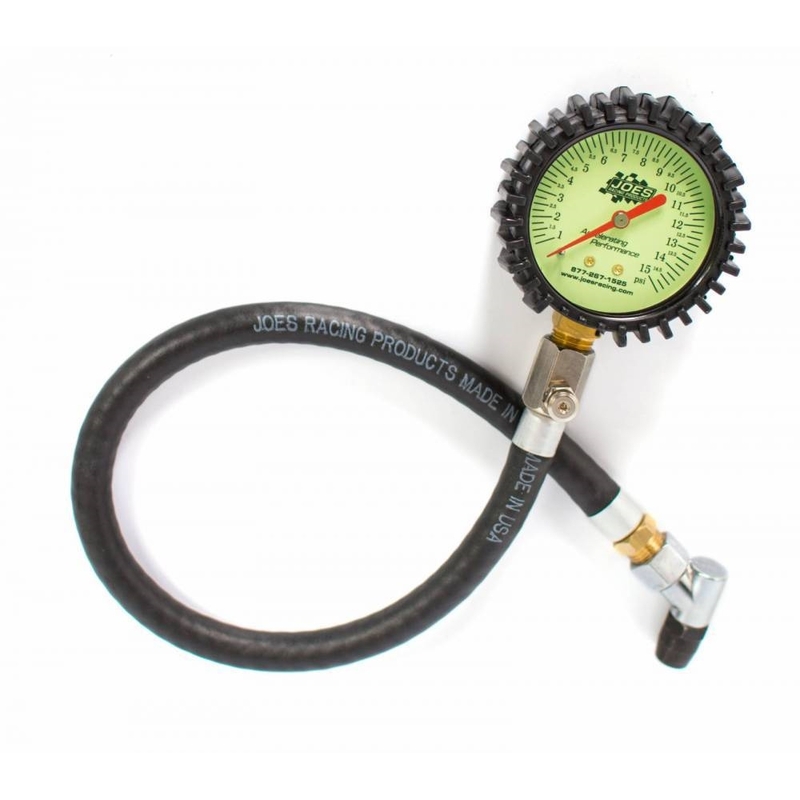 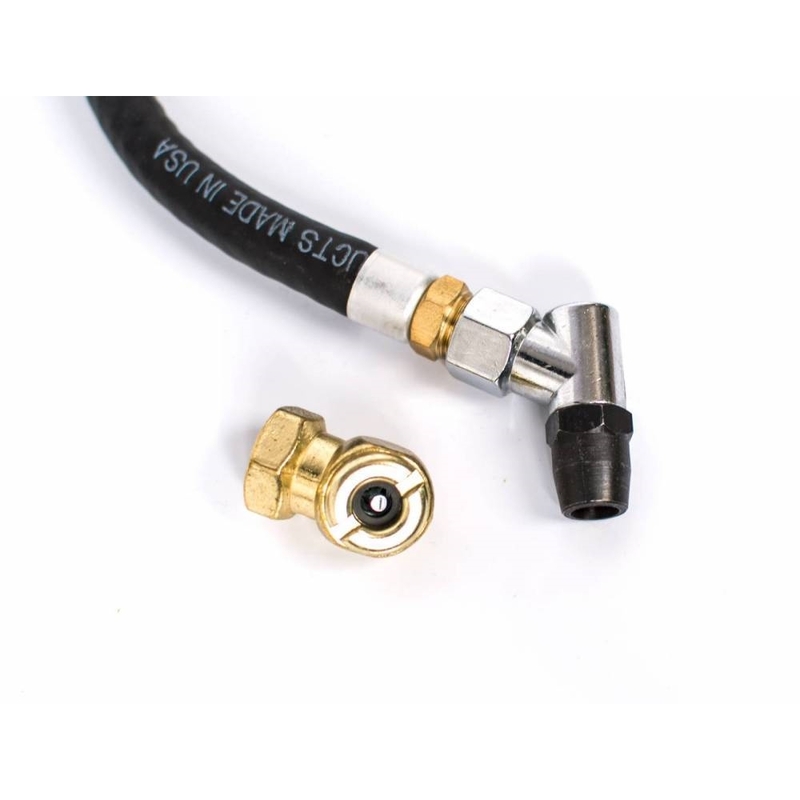 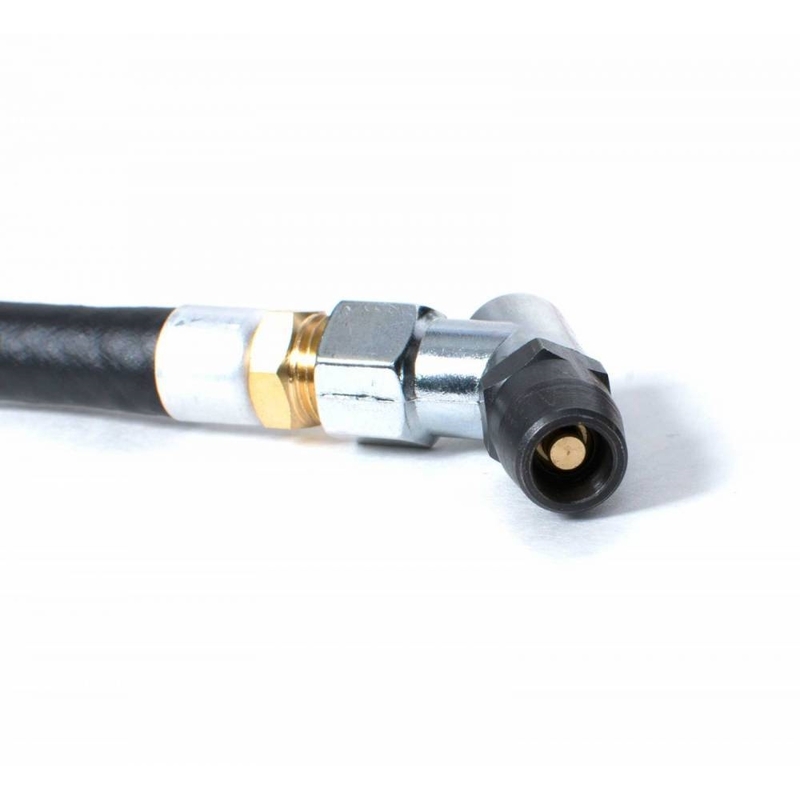 A hold valve to store the pressure in the gauge until you release it is available for an additional cost.